William E. “Bill” Knepprath, Jr., age 82, of the town of Saukville, WI, peacefully passed away Tuesday, April 2, 2019 at Kathy Hospice in West Bend, WI. He was born on June 14, 1936, “Flag Day”, in the Town of Holland in Sheboygan County to William E. and Rose Kraus Knepprath, Sr. Near Dacada, he grew up on the family farm. On October 10, 1959, Bill married Loretta Strohmeyer of Kewaskum at St. Bridgette’s Catholic Church in Kewaskum. 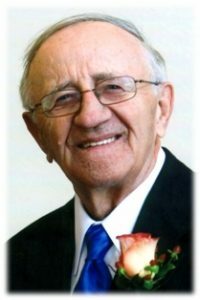 He and his wife raised their family in the town of Saukville for many years. Bill worked for Ataco Steel Manufacturing Company of Grafton for over 40 years. He retired in 1998. Over those years, Bill was a member of the International Association of Machinists and Aerospace workers Local 1430. He had been a member of Immaculate Conception Parish and St. John XXIII Parish. Bill enjoyed camping and cutting wood, playing cards and tinkering around the house. He will be remembered for his love of music, especially polkas. He took pride in his beloved Minnesota Vikings. Bill loved to chat with his friends and family. He is survived by his wife Loretta, his children Roger (Sheila) Knepprath of Cedarburg, Barbara (Allan) Viste of Black River Falls, Marie (Gary) Paulus of Fredonia, Patricia (Thomas) Liimatta of Fredonia and Thomas Knepprath of Saukville; 8 grandchildren Jeremy and Melinda Knepprath, Jennifer (Brandan) Macha and Michelle (Eric) Rosploch, Kathryn, Emily and Philip Paulus and Elizabeth Liimatta, great-grandchildren Jonathan and Madelyn Macha and James and Owen Rosploch, his sister Marion Schmidt of Lakewood, sister-in-law Marion Knepprath of Sheboygan Falls, nieces, nephews, other relatives and friends. Bill is preceded in death by his daughter Joanne Knepprath, sisters Marcella “Sally” Knepprath, brothers Edwin, Clarence and Robert Knepprath, sisters-in-law Carol Knepprath, Louise Skattebo and Catherine Keen and brothers-in-law Anton and Harold Strohmeyer. Mass of Christian Burial will be celebrated at 6PM Tuesday, April 9, 2019 at St. John XXIII Parish-Immaculate Conception Church, 145 W. Church Street, Saukville, WI. Reverend Patrick Wendt will be the celebrant. Visitation will take place from 4-5:45PM Tuesday AT CHURCH prior to Mass. Interment will be at St. Mary’s Cemetery in Saukville. Memorials to Horizon Hospice (horizonhomecareandhospice.org) appreciated. 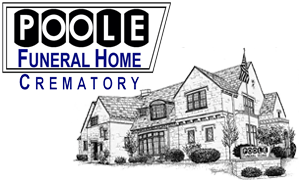 POOLE FUNERAL HOME/Crematory, Port Washington, WI assisting the family. Information and condolences at www.poolefh.com or 262/284-4431. 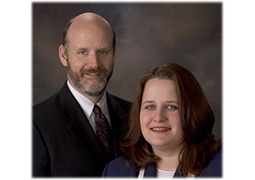 Previous Post: Preisler, Scott A. So sorry for your loss. Bill was a good neighbor, since I was a little girl. I have fond memories of playing baseball and football with him and the kids in your back yard, growing up. And yes! hearing that polka music coming from your back yard in the summer time.